An iterative update to the P32 from last year, say hello to the new iTel P33 and P33 Plus. 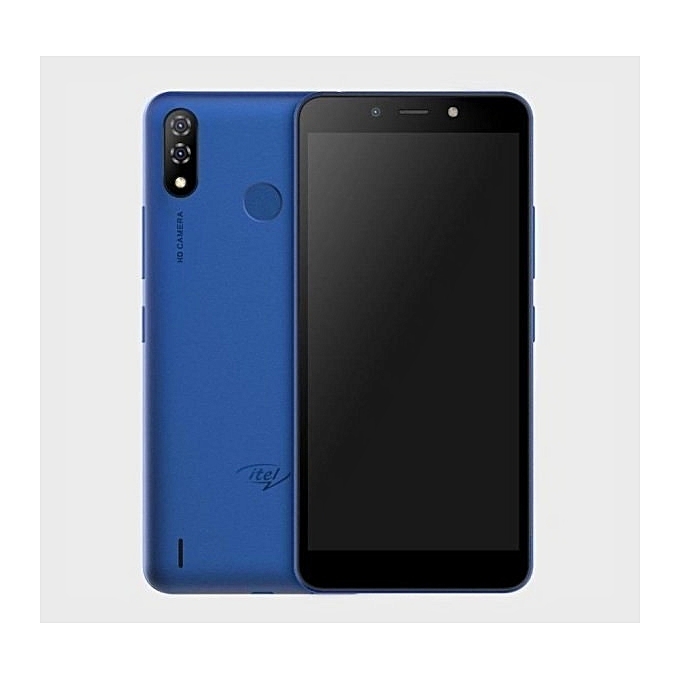 The iTel P33 and P33 Plus are both dual-SIM Android devices running the Oreo Go flavor (Android v8.1) of the operating system out of the box, but with no support for LTE. 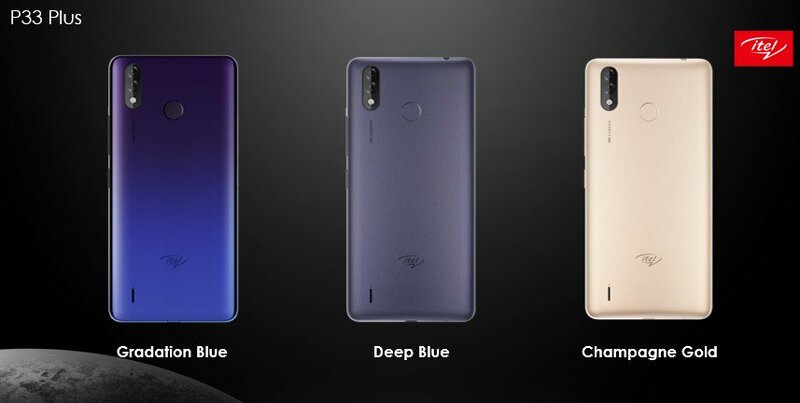 They both have a plastic exterior available in Black, Blue and Gold colors, but with P33 Plus having additional classy colors (gradation blue, and deep blue). Both devices sport an IPS LCD display with a 720p resolution, but the display size of the P33 (at 5.5 inches diagonally) is 0.5 inches less than what you get with the P33 Plus (6.0 inches). They both do not ship with any innate display protection tech though. Under the hood of both devices sit a 32 Bit Quad-core MediaTek entry-level chipset clocked at 1.3GHz (MT6580) which brings along with it the Mali-4o0 graphics processing unit for handling graphics. On the memory front, both devices feature just a gigabyte of RAM and 16GB of internal storage (which can also be extended by means of an external SD card – supported capacities up to 32GB). The iTel P33 and the Plus version both feature the exact same camera modules both in front and behind. 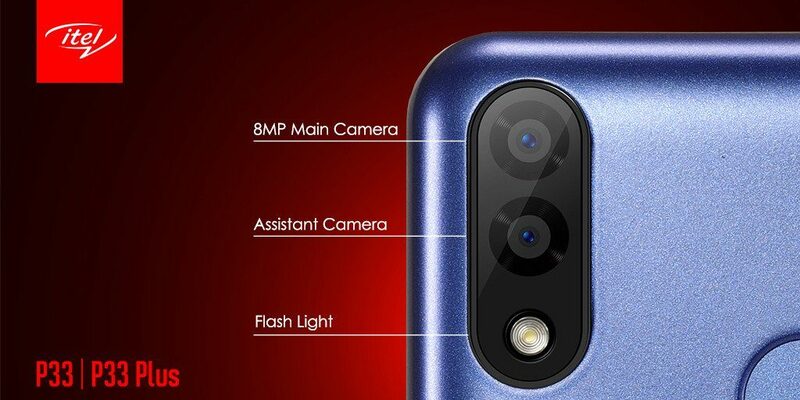 In front, you have an 8 MP lens with a dedicated flash and the rear camera setup is a dual one comprising an 8MP primary shooter and an accompanying 0.8MP secondary lens (to be confirmed). The only second major difference between the P33 and the P33 Plus lies in their respective battery capacities – with the P33 featuring a non-removable 4000 mAh cell and the P33 Plus featuring a much larger 5000 mAh cell. In addition to all of the above, both devices sport a rear-mounted fingerprint reader for securing the device.